Get into the action with the R4i Gold 3DS Gold card for your Nintendo 3DS console. Bringing you the entire world of homebrew games and apps - all available as free downloads online. The R4i Gold 3DS was one of the first cards on the market that works on the new Nintendo 3DS in DS mode. Allowing you to take your 3DS to a whole new level of multimedia playback. Here's your chance to really join the homebrew revolution and have access to thousands of games and applications created by developers and given away free. UPDATE: December 6, 2018 - Now with full support for the latest Nintendo 3DS, Nintendo 3DS XL and Nintendo 2DS version 11.9.0 as well as the newest Nintendo DSi / DSi XL Version 1.45 - the R4i Gold 3DS will work regardless of the handheld game system you have, or what version it is running. The R4i Gold remains one of our top flash cards. Both due to compatibility with the apps, games and freeware, as well as instant kernel updates when a new upgrade to the DSI or the 3DS comes out! But it's much more than just games! The R4i Gold 3DS Card will put true multimedia right into your pocket via your Nintendo 3DS system. Whether you want to take your 3ds and turn it into a movie player, or just want to sit back, relax, and read the latest and greatest eBooks - it's all possible! The R4i 3DS Gold card has a very easy to use user interface that makes accessing your games, apps, and media a breeze. The built-in Moonshell Media player puts your MP3 music right at your fingertips, ready to bring it all to your console. But there's more. Play some of the best classic NES and SNES games on your Nintendo 3DS with the R4i. With freeware emulators available for the R4i, you'll be going all retro on your 3DS system. Who needs more 3D games when you can kick back to the likes of Donkey Kong Country, The Mario World series, and more! And you'll have plenty of space to do it. With support for up to 32GB sized micro SD cards, the R4i will give you all the storage you need to fill up your card with the best games, apps, movies, music and more! You can swap out the micro SD cards for virtually unlimited space for every type of media file you can throw at your Nintendo 3DS. This is going to be the best investment you could ever make for your handheld game system. Just one card that truly does it all! - Take all of your media with you, and enjoy it anywhere and everywhere you want. Take movies with you on the go. Watch them on the way to work, or on your lunch, or just enjoy them at home, with a movie player that doubles as quite possibly the best portable gaming system out there. - Able to memorize and restore to the previously selected game or application after restarting the machine and soft reset. - Sleep mode function, for power saving and longer standby time. - Multi-languages are optional, they are Simplified Chinese, complicated Chinese, English, Japanese, French, German, Italian, Spanish and Dutch. - Friendly interface, easy to operate. - Realtime smart help windows. - Integrated the latest Moonshell 2.0 Beta version. - No need to flash. Built-in launch Slot-2 (GBA) function. - Support GOLD micro sd cards (4GB / 8GB / 16GB / 32GB). - Support DMA read and no lag while using any microSD card. - Support FAT16 and FAT32. Files can be transferred with PC, PDA, Cellphone and Camera. - Support clean rom and drag-drop to play. Fast loading. - Support NDS and iDS games. DS games can run on any DS versions. - Files are to be saved directly to TF card, copy or restoration is not required. - Automatically recognise saved new game types, no need to update the database. - Support moonshell and home brew. - Power saving design. Enter the optimized mode automatically. - Double screen UI, abbreviated picture and game title display, button and touch operations. 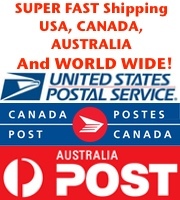 - Easy to use, setting or adjustment is not required. - Support Wi-Fi, rumble pack and browser expansion. - UI background can be changed. - Support AR cheat code. - Support soft-reset of moonshell 2.0 (back to the main menu of R4 NDSI by pressing START button). 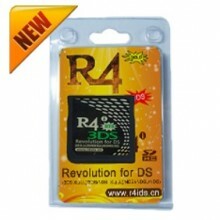 1 x R4i Gold 3DS Card For the Nintendo DS, DS Lite, DSI and DSI XL and the new 3DS systems. Im shopping for a 3DS Flashcart and I heard you guys are the best. Im looking at the R4i Gold and the R4i Gold Pro. Whats the difference between the regular Gold and the Gold Pro? ANSWER: They are essentially the same in terms of features and functions, but the PRO is a newer version GOLD card. 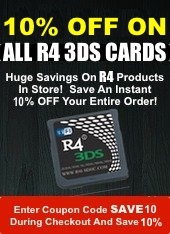 It also has a buy 1 get 1 free special right now, which the original R4i Gold does NOT have. I moved to Australia from Canada and there's a region lock so if I choose Australia for shipping and tax will it be region locked? I have a card that looks exactly like this, except it says "R4i Gold Plus." Is this the same thing? I think I bought it from you guys several years ago. Will the firmware update allow it to work on the NEW 3DS XL? ANSWER: Please check the R4 3DS Firmware download section to see if there is a newer version of the firmware. Some of the R4i Gold 3DS cards unfortunately needed a complete hardware replacement 2 years ago do to limitations with the original design. Contact us via our contact us form and we can give you a discount on a new card in trade for your old R4i Gold 3DS if you wish. Answer: YES! Absolutely. We are here to help before and after you make your purchase and we have some of the best setup guides available online for our products. Does this support all SD cards? SD/SDHC? Answer: Yes it does. You can select most MicroSDHC cards and they shall work with the system. Some however are not compatible. 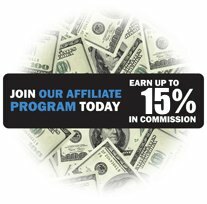 The cards we offer are guaranteed to work. Working just fine on my DSi XL and also on my 3DS XL console. Both from Germany so it can work in both. Product arrive fast and good help from sales and staff at r43ds.org so thank you very much! Bought For My 3DS 6.2.0 and working great. I bought this card after my old card stopped working after the original 6.0 update for the 3ds. I wanted to get a card that would be getting updates, as it looks like the place that made my first r4 3ds isn't even in business any more. This card has been great. I updated to 6.1 and now to the 6.2.0 and it's working flawlessly. Got It Today! Tested on 6.0 3DS XL. Working Like A Boss! I kept seeing horror stories of opening up the actual r4 cards, and having to use a knife to cut traces and a whole lot of other weird things, to make them work on the new 6.0 3DS XL's out there. I didn't have to do any of it. I filled up the firmware on my micro SD, and it worked right away! Thanks r4 3ds for always sending the newest cards, and not last years models! I bought this card for my Grandson who was off for his summer vacation, and he's thrilled with all of the new things his 3DS can now do. Product arrived safely and in good time. It works just as advertised on here, and we couldn't be happier. My Grandson loves it for the long car rides from place to place. 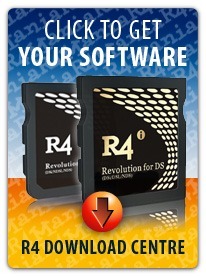 Click the button below to add the R4i Gold 3DS Flash Card to your wish list.